Latest post Sat, Nov 3 2018 11:00 AM by MikeyB. 15 replies. what's the genious about this? is there a setting that I dont know off. it's crazy annoying. It’s the traditional inclusive Mark Out (film and Avid style) versus Exclusive Mark Out (video/EDL). Park on a frame, mark in, mark out, and you will have selected a duration of one frame. This is also what the zoomed in position bar is showing you. thanks for taking the time to answer... and yes I realize that. I have no problem with that, at such... not being a tecnical wizzard. however, I'd still like my add edit point to appear at the marked out point - and not have the add edit point be 1 frame before the selected out point... isnt that why you pick an out point? but I'm willing to learn. Why would I pick an out point and have the add edit point be one frame before, I dont understand the benefit of that. Or the design of that, other than this being annoying. Talking from a short cut perspective. is this a setting I can turn off? No, it's not. It's the way it works. it’s a setting in some finishing NLE’s I think. Not in MC, though. what I don’t get is why you would make an add edit AND a Mark Out. 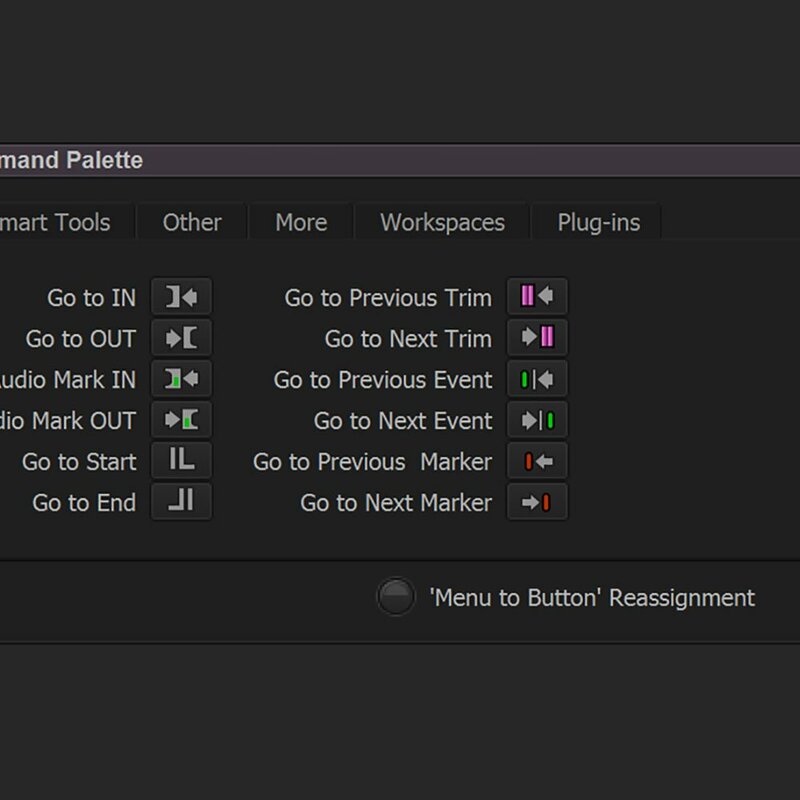 Also, if you work with add edits and need to mark betwen them, check out the Mark Clip button, as that sets In and Out Marks on the nearest segment boundaries. You may also want to check out Alt-Cmd clicking on cuts (either segment starts or end, or add edits), as that parks your blie cursor on the last frame of the segment (so before the cut, not after it). other than that, for now, I fear it’s something you will have to get used to, as I haven’t heard too many people complain about this functionality, so I doubt it’s going to change any time soon. NOT the in point though . the add edit cut is on the in point. Like it should be. So that one is fine..
Why not hit FFWD (>>) in stead of GoTo Out? That would take you to the point where you want to add an edit (depending a little on your settings. Also, if you cmd-park at in, add edit, cmd-park at next cut, add edit, you’re also there. With alt + add edit you can even add edits on all tracks where there’s only filler at that particular point in your timeline. maybe you're a bit more into the program than me... I have an Avid logic keybord. Q and W takes me to in and out. i have F3 for add edit..
the FFWD im not sur what is. as well as cmd-park. Are you able to explain that further.. I'm sure it's pretty simple. You mean not have an in and out point showing... just go to the cut. Would doubt that changes anything.. not in front of comouter right now. CMD-park: if you hold command and drag your position bar through the timeline, it will 'snap' to the cuts (head frames). ALT-CMD-park: if you hold ALT+command and drag your position bar through the timeline, it will 'snap' to the last frame before each cut (tail frames). <- this is probably precisely what you do NOT want to do, by the way. The Fast Forward (FFWD) and Rewind (RWD) buttons have been renamed in 8.9.4, sorry for calling them by their old names. They are now called "Go To Next Event" and "Go To Previous Event" and are located in the Command Palette under the Move tab. So rather than Go To Out, use Go To Next Event. If you like, you can remap your 'Go To Next Trim' and 'Go To Previous Trim' buttons (probably under A and S on your keyboard now). In 'Composer Settings', in the Move tab, you can change the behavior of these Go To Next/Previous Event buttons: whether or not they should take into account selected tracks, whether or not to stop at tail frames (the latter is probably precisely what you do NOT want to happen). Yes, that is expected behavior (it brings you to the frame that has the Mark Out), and if that bothers you, as I wrote, it might help to find a different way to go about what you are trying to achieve. I'm suggesting you're hitting the wrong buttons for your purpose. A. CMD-drag the postion bar to the start of the clip on V1 and add edit on V2, then CMD-drag the postion bar to the end of the clip on V1 and add edit on V2. B. Hit Go To Previous Event, Add Edit to V2, then hit Go To Next Event, Add Edit to V2. No need to Mark clip or anything. the, go to next event, and go to next trim A and S on keyboard, I never use, as I have no idea how the software thinks in that regard... I hit A and t goes to the next trim, I guess. I hit A again and it jumps several clips and chooses, what seems to me as being a random clip further down the timeline. same with go to next event - just skips several clips . Sometimes it's the next event or clip.. Maybe I just dont know what an event is. however, the above is when audio tracks are selected with a V track, which they usually are. ... if only a V track is slected, or Audio track individually, then it jumps from clip to clip... but before I have deceleted audio and selected a V track, I have CMD + dragged the playhead 10 times... if you know what I mean. The "go to" behavior depends on what tracks are active/inactive. Personally, I find it to be easier to go to Composer Settings > Move Tab and turn on "Ignore Track Selectors". With this setting enabled, the Go To Next Event command will stop at every edit regardless if the edit's track is active or not. play with those settings until you’re happy with their behavior. also, if you want to eliminate keystrokes and mouse usage, you can map things like ‘Deselect All Tracks’. P.S. Go To Next Trim goes to the very next cut point, while entering Trim Mode. Go To Next Event goes to the very next cut point without entering Trim Mode. i have mapped deselect all tracks.